Available in queen or king size, the Renaissance Bed by Zuo will bring subtle elegance to your bedroom. 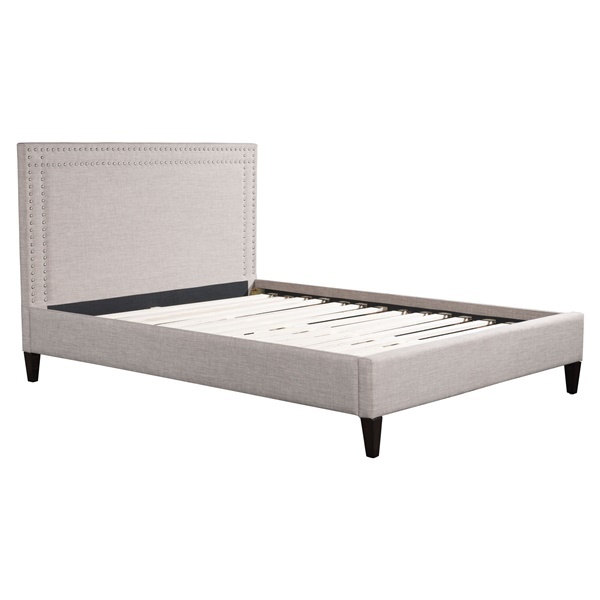 Its soft gray upholstery features chrome nailheads for a delicate accent. A supportive slat system means you don't need a box spring to get a great night sleep in modern style.